Festive Fall “Stained Glass” For Kids: No Glue, No Mess! I’m not an artist. When my son asks me to draw an elephant, it looks more like a mouse crossed with a moose. I can’t even cut a straight line on paper without a guide. However, my son loves to craft, and I love to foster that creative side of him – so a few times a week, I put aside my artistic insecurities and get to it. Because, honestly? Our kids don’t care what we think that we can or can’t do. They just want to DO things with us! 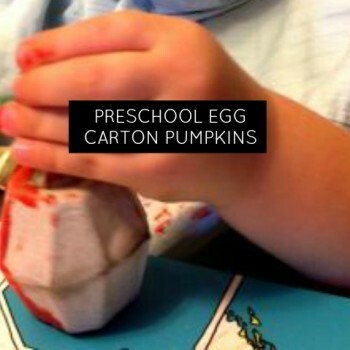 Through artwork and sensory play, like this Pumpkin Sensory activity, our babies get to explore the world around them! Pull out the orange paint! With Thanksgiving coming up and Halloween in two weeks, this craft can do double duty! The chill is in the air and momstown families are heading to the pumpkin patch to get that special fall photo of their child! 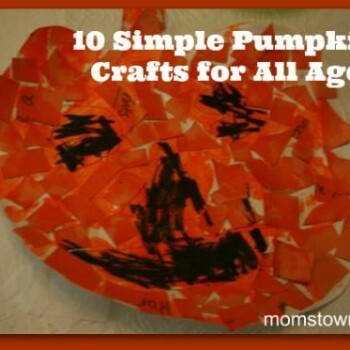 Whether you pick up a pumpkin to decorate or make your own pumpkin crafts at home, we have 10 great pumpkin crafts for kids of all ages. Last Halloween momstown Milton had a trick or treat party and we gave out Pumpkin Playdough to all the kids to take home as their “treat”. It smells awesome and is fun to play with! It would not be Halloween without pumpkins and pumpkin carving. Part of the fun of the holiday is reaching inside a pumpkin to scoop out the gunk, and then in our house, roasting the seeds. 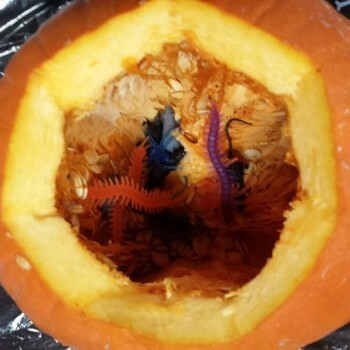 While preschoolers and toddlers may not be able to take part in the actual carving, exploring a pumpkin is a great fall sensory and science activity. When my eldest started school, the hardest thing for me was not knowing her friends as well as I did when she as home. That first Kindergarten October we hosted a Halloween party for all the girls in her class so i could meet them and their parents – perfect solution! It’s cold and windy outside! Get crafty with your youngsters today. This DIY Halloween craft is so cute and easy that mom might want to make a bunch herself to decorate the Halloween mantle! But – this craft are so simple for children to make create. Invite your children over for some simple, Halloween fun! 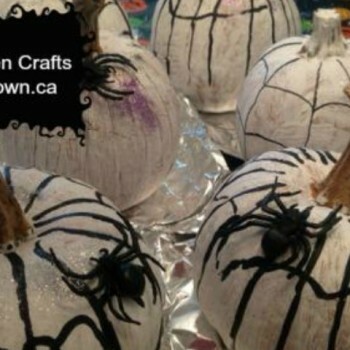 momstown’s pumpkin crafts are keeping our kids busy these days! Here’s a great use for scrap orange paper and some great scissor practice too!